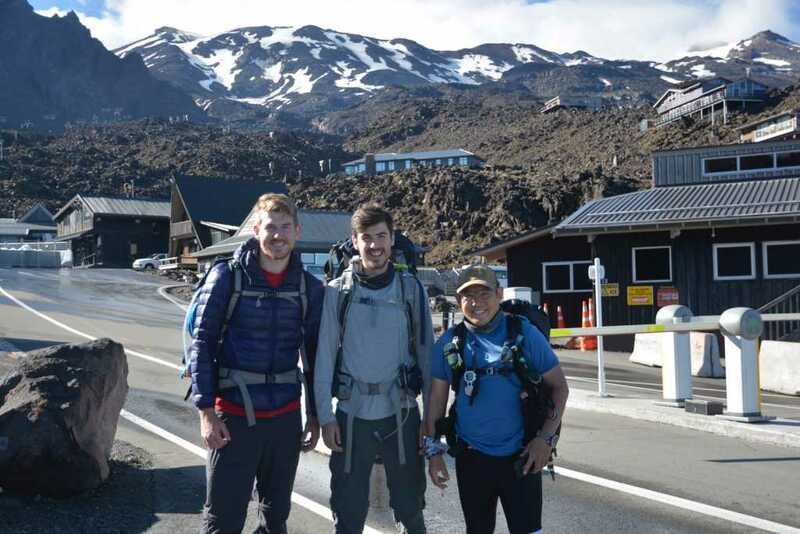 The main event for our trip to New Zealand was undoubtedly the hike up to Mount Ruapehu in the Tongariro National Park. 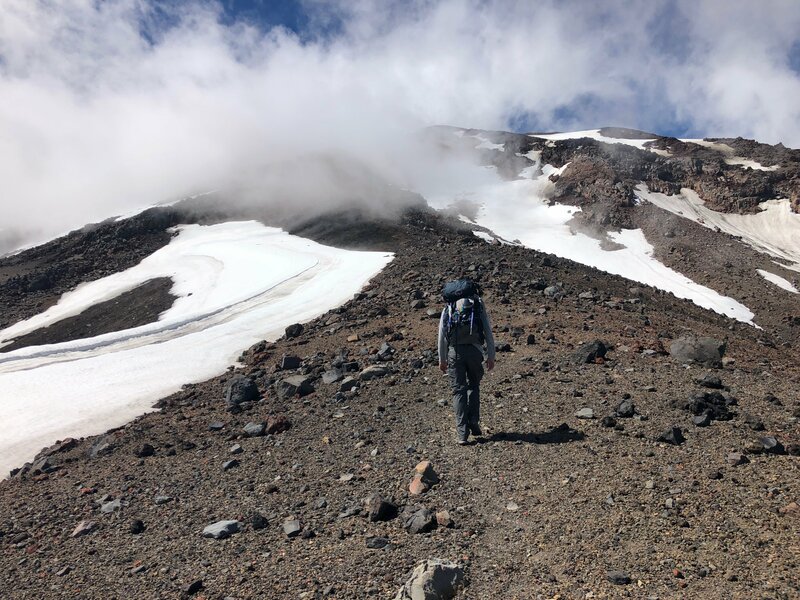 After spending several days in New Zealand forests, which included the Timber Trail and the 42 Traverse, we entered the volcanic area of the Tongariro National Park. 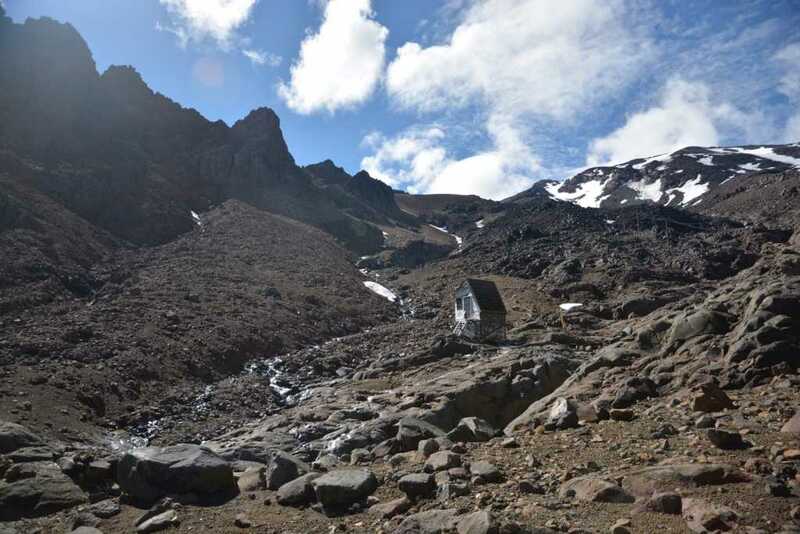 The best access to Mount Ruapehu, and some of the other attractions in the park, is from the Whakapapa Village. The main road that intersects the village will take you to the start of the walk, as well as the various ski resorts up there. During the colder parts of the year, Mount Ruapehu is home to snowboarders and skiers alike. Such is its popularity, we were told that Australians will often come over for the weekend just to hit the slopes both in the Tongariro National Park and in Queenstown in the South Island. While there are a few ways to get to the top of the mountain, the safest way to get there is by following the many wooden poles that are spread out. There is no designated track but as long as you keep these wooden poles in sight, you can’t go wrong. I should preface the next section of the track report by mentioning that we actually failed to summit. We got to around 2550m but couldn’t go further due to a 10m section of ice that intersected two lengthy drops. 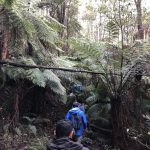 The walk itself is around 8kms, but given the rise in elevation, the terrain and the million photo opportunities available, it will almost certainly take you an entire day to hike. We started at 9am and were done by about 3:30pm, which included plenty of breaks particularly at right before the summit. As mentioned the entire Tongariro National Park features volcanic terrain as far as the eye can see. 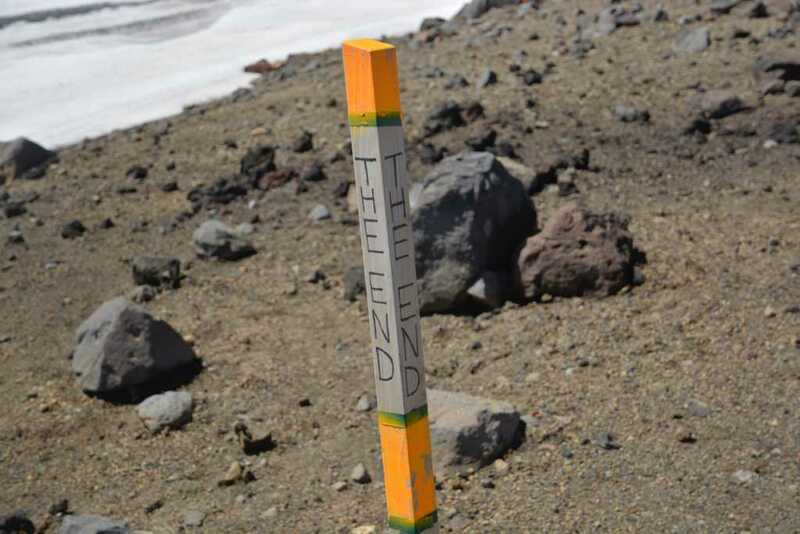 The walk to Mount Ruapehu is no different, however, given how big it is, there are sections of snow to walk across along the way. Yes, this even occurs in the middle of summer! The first three kilometres of the hike includes those wooden poles I previously mentioned, however, you do get to a point where they disappear. The section beyond this point is where you really have to have your wits about you and be comfortable finding your way. While they clearly aren’t on the same level, I liken the level of climbing rocks in this section to the climbing you might find in the Ridge Line in the Southern Circuit of the Cathedral Ranges. 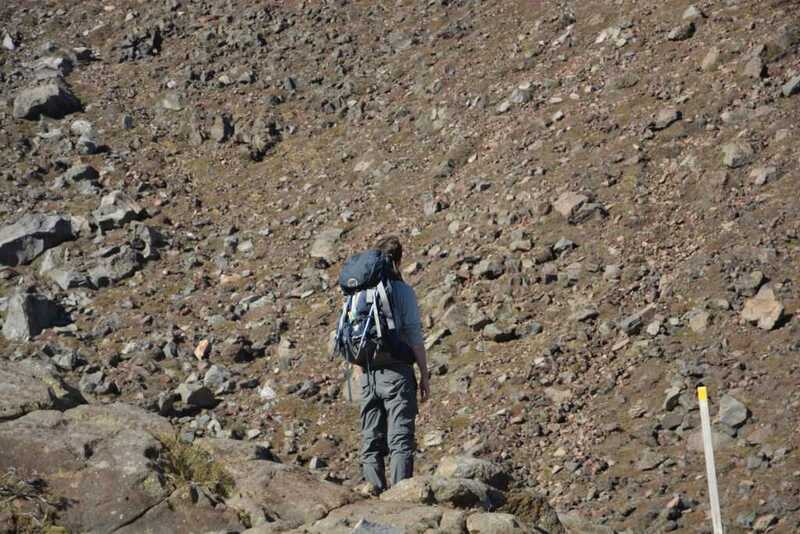 The rocks are jagged and slippery, and the scora/scree/volcanic dirt underfoot can be incredibly slippery. 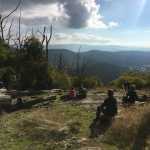 Again, this section is for more experienced hikers and those who are 100% confident in their abilities. 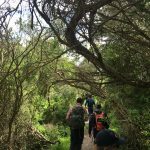 That’s not to say that things can’t go wrong for an experienced hiker, but you certainly need to know what you’re doing. One thing to also note is that because you are so high up, you are vulnerable to cloud cover moving at a rate that couldn’t imagine. This can lead to poor visibility which can lead to injuries and to becoming lost. While we had some cloud cover during our hike, it wasn’t enough to impact our visibility. All that aside, the views are absolutely spectacular. On a clear day, much like we had for most of the day, you can see Mount Ngauruhoe, Lake Taupo, back into Whakapapa Village and Mount Taranaki to the west. 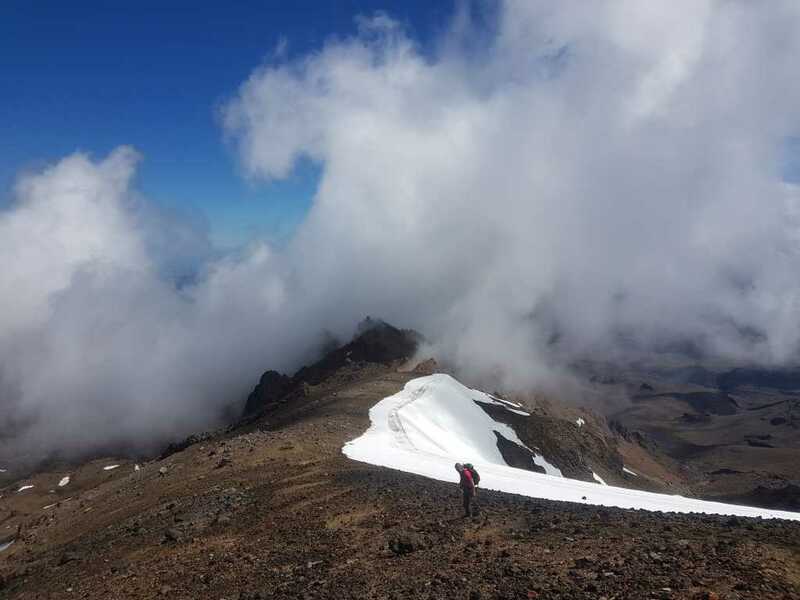 As someone who was absolutely blown away by walking the Tongariro Alpine Crossing and climbing Mount Nguaruhoe, Mount Ruapehu is on a whole new level of amazing. While walking the Mangatepopo Track to our accommodation at the Skotel Resort, we could see the mountain off in the distance. Despite it being some distance away, it truly was overwhelming. In fact, I felt as though this was the case at every viewpoint of the mountain. It really is something to see. Unfortunately, I was unable to track our walk via WikiLoc, so I trust that my description and images of it have at least got you thinking about doing it yourself. 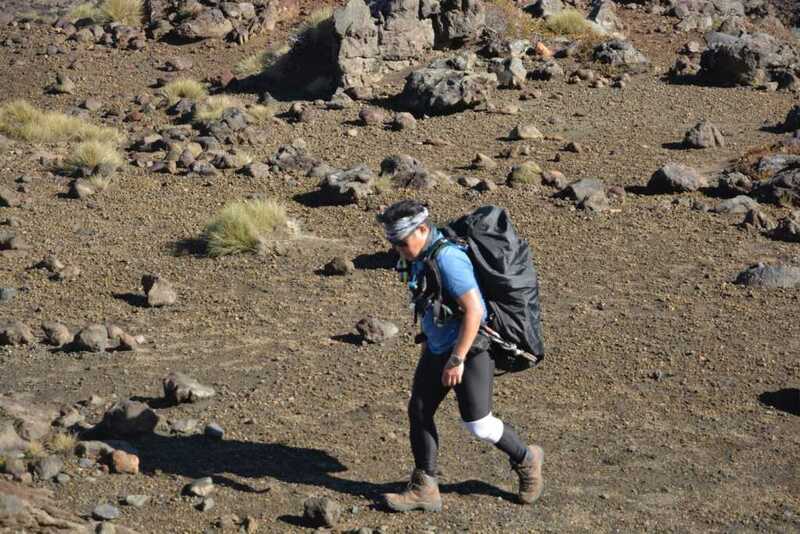 The Tongariro Alpine Crossing is still a great walk, but as it is labelled one of the best day walks in the world, it does attract thousands of people. The walk to Mount Ruapehu, while slightly more difficult, has fewer crowds and, for mine, better views. This terrain seems like really meeting with raw nature. Amazing sights there! I’d love to try it out, but I’m not a very experiences hiker, nor climber. 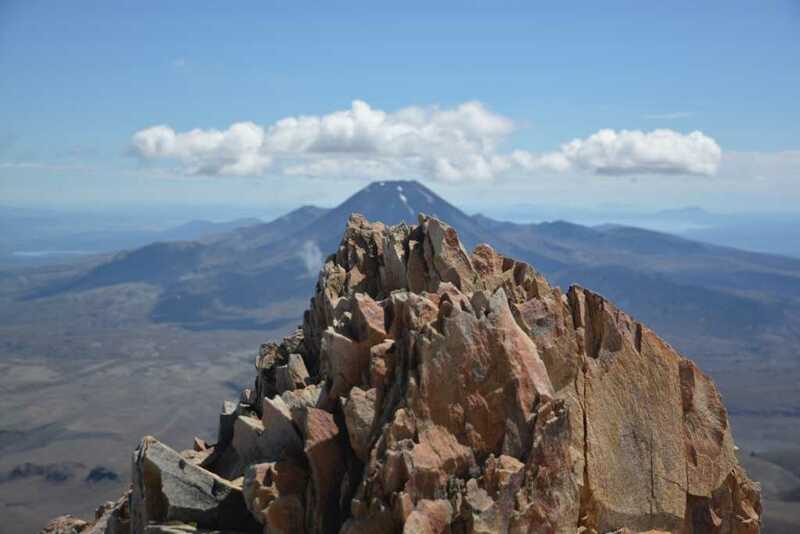 It is always nice to train myself seeing a goal like reaching places like Mount Ruapehu. Thanks for the nice article! Hey Frank! I’m not a climber either but all it takes to get yourself to a point where your body is comfortable doing these sorts of hikes is to hike regularly. Get those muscles used to carrying backpacks and walking reasonable distances. Thanks for reading! 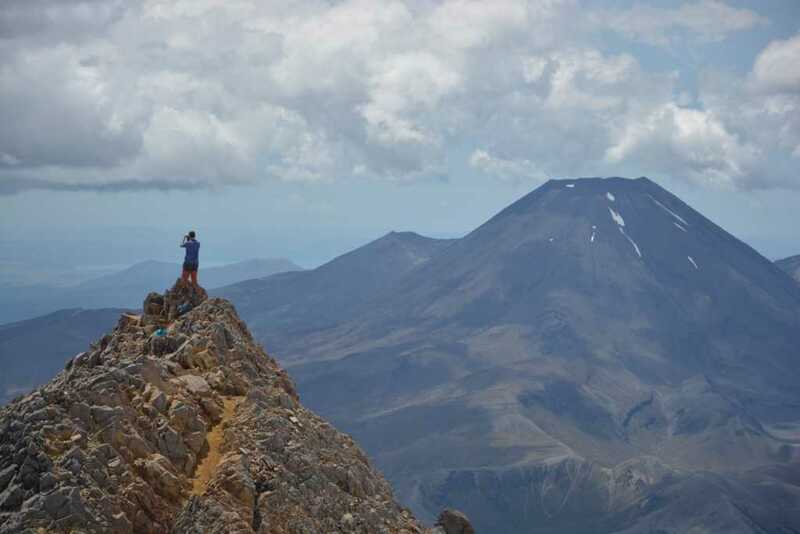 Really good account of climbing on Mt Ruapehu but Mt Ngauruhoe was only Mt Doom in the minds of a few marketing staff. Nothing was filmed there and it bears no resemblance to Mt Doom in the movies. The last couple of years we have been trying with some success to change this narrative to acknowledge and respect the beliefs of local iwi and to reduce the number of inexperienced climbers on Mt Ngauruhoe and thus the number of rescues. Is that 100% re: Nguaruhoe? I’m certain sections of that area near the mountain were filmed as areas of Mordor/Mount Doom. But yes I’m aware of the push to ask people not to climb Nguaruhoe out of respect for the cultural significance of the area. 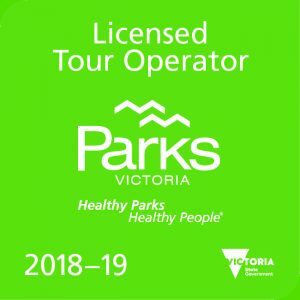 More needs to be done to educate hikers on the area as I believe that it’s marketed as the best day hike in the world and that anyone can do it. The reality is that it’s not that easy and most who turn up, or at least those who I witnessed when I was there, were inadequately prepared for the track. Thanks for taking the time to read the blog, Simon.